One of the challenges in crime prevention faced in cross-border regions of North Lithuania and Kurzeme is lack of capacity in technical solutions for equipment that is available and lack of legal and administrative cross-border cooperation among law enforcement institutions. The project aims to overcome this by installing advanced, up-to -date video surveillance equipment and elaborating contemporary software for data exchange, improving technical capacities of institutions for faster exchange of necessary information among co-operation partners. 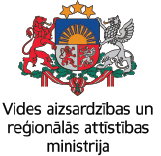 The project will develop a network of video surveillance cameras and will establish cross-border cooperation system among law enforcement institutions in 17 municipalities in North Lithuania and Kurzeme. Co-operation system will include also State police. General purpose for this cooperation system is fast information/data exchange among co-operation partners without slow formal process of sending many requests between institutions, thus making crime prevention process more effective. 172 video surveillance cameras will be installed and connected into the video surveillance network in 17 municipalities. Also, a digital information tool for information exchange will be developed and all partner’s law enforcement institutions as well as national level institutions will have authorized access to it. Using this tool it will be possible fast to access information about cars passing video surveillance cameras – number of registration pates in particular. To establish cross-border cooperation system, 2 joint workshops and 2 experience exchange events will be organized. During these events law enforcement structures will discuss legal and technical aspects for further cooperation and will agree on creation of cross border co-operation system within framework of existing legislation in Latvia and Lithuania.As the result cross-border cooperation system for the exchange of information from video surveillance networks will be established, and this will enable more effective ensuring of civil security and crime prevention in the region.